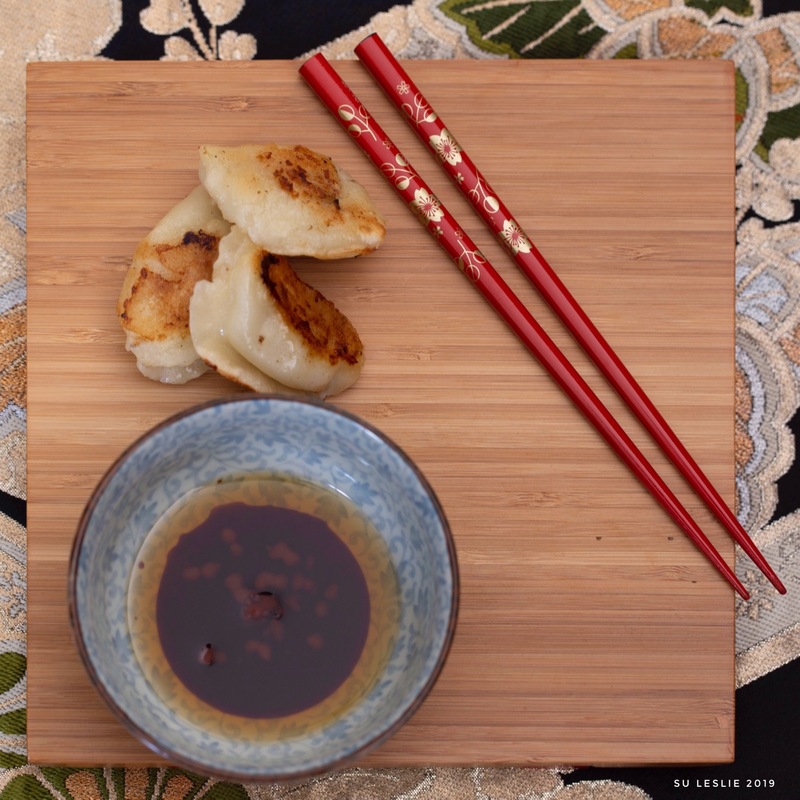 Fried dumplings are a favourite snack chez ZimmerBitch — quick, easy and delicious. Oh yum and double yum. I think these surely have the potential to become favourites on Sheinton St. It looks very tasty and I do love the bowls. I mean, are you going to photograph them all day or eat them? They look yummy! Aren’t the cool. We bought a few different pairs years ago, and I particularly like these. Oh GOD that looks absolutely delicious! After our recent conversation about the absence of taste in your local food, I probably shouldn’t say how yummy they were. Ooh, stoppit! 🙂 🙂 I haven’t even had breakfast yet but I could be tempted. Hehe. They are very moreish.